I am an Ohio girl through and through, so I am no stranger to buckeyes whether referring to trees, football or candy. When I was in West Virginia a few weeks ago, buckeyes littered the ground after falling from a tree. I was going to do this little easy craft with acorns, but instead I used buckeyes. 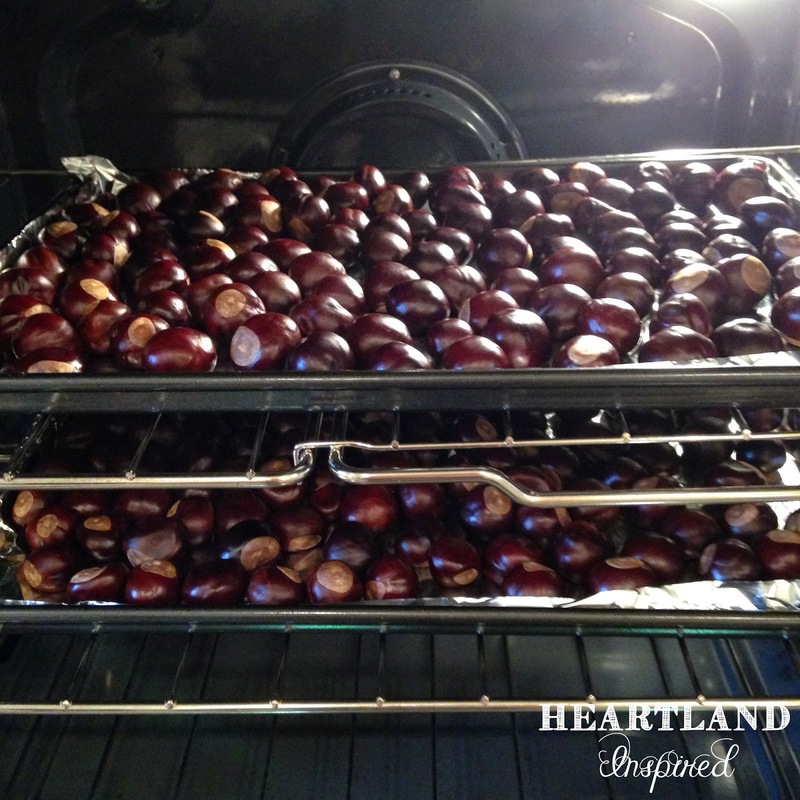 To get rid of any kind of any yuckiness, I wiped the buckeyes off and baked them at 200 degrees for several hours. I didn't see any hole in the buckeyes so I don't think there were any bugs, but better safe than sorry. 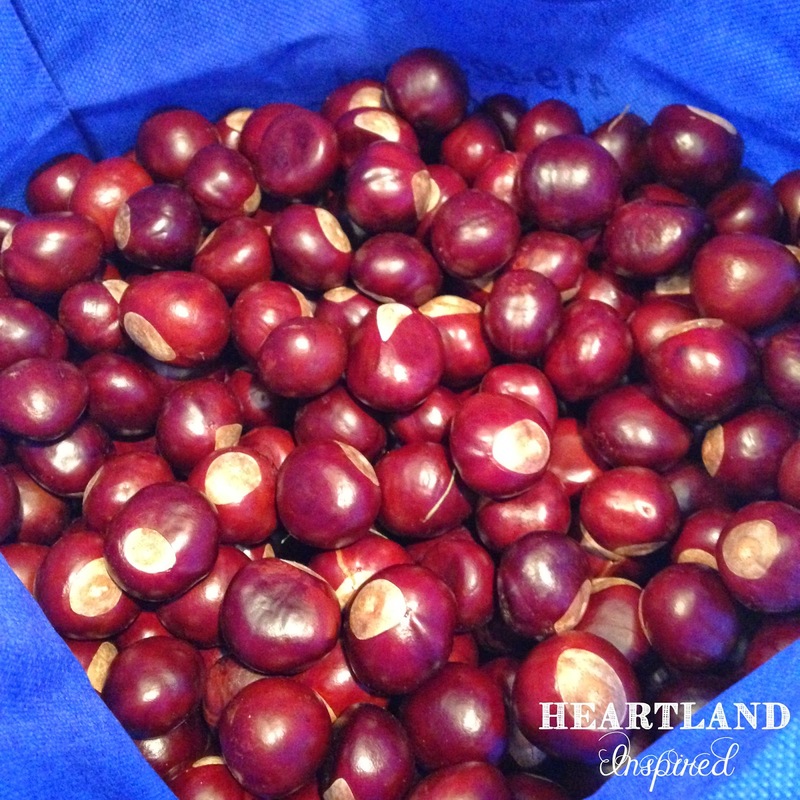 Tomorrow, I am sharing where I am using all my buckeyes!